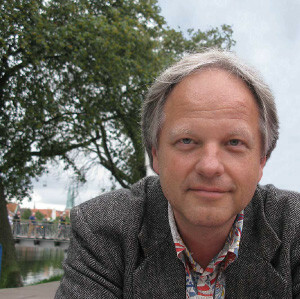 KlavierTraum is a music program with original compositions by Uwe Dringenberg as well as pieces from both classical music and modern classical music. Film score music is also included in the program. Those listening to these delicate piano compositions sense that his music opens doors leading deeper into their own beings. Day dreams become a diversified voyage through aural topographies that the artist coaxes into existence - the soul breathes a sigh of relief! Besides wistful, melancholic and yearning piano passages, there are also powerful and lighthearted tones unfolding to fortify the listener. Ballads alternate with bursts of rhythm as well as one or two free improvisations. Many people today often experience fear, depression, burnout, disquietude and discord. 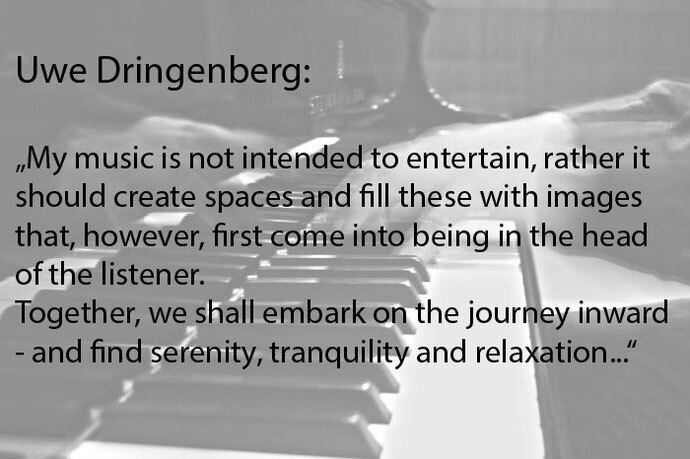 In an evermore hectic day and age, Uwe Dringenberg longs to use his music, which is a type of "relaxation music", to create an oasis of peace, hope, confidence and a feeling of security.